Yikes. 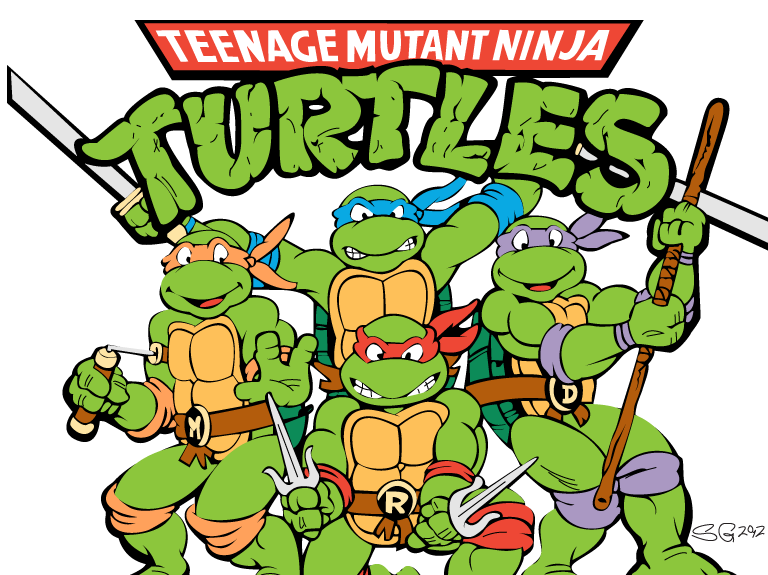 It may take me some time before I warm up to these new guys, and though I’m sure the cakes made with the “new” TMNT in mind will be nice, I’m gonna stick to the original for my rendition. Who knows? 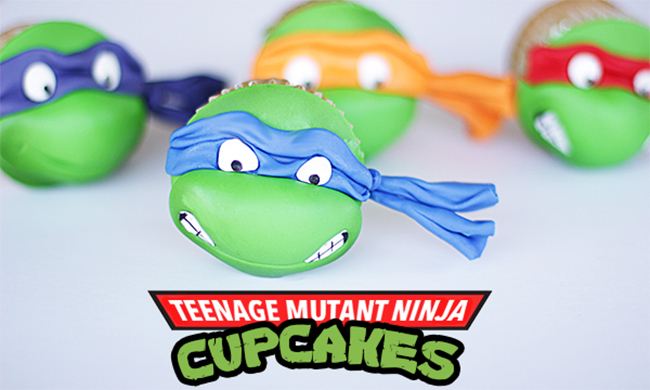 If I see the movie and enjoy it(not likely, but I can dream) then maybe I will make an updated TMNT cupcake/cake. In the meantime, here is how I made the ORIGINAL, old-school version. As always, we will need a guide or photo for reference. 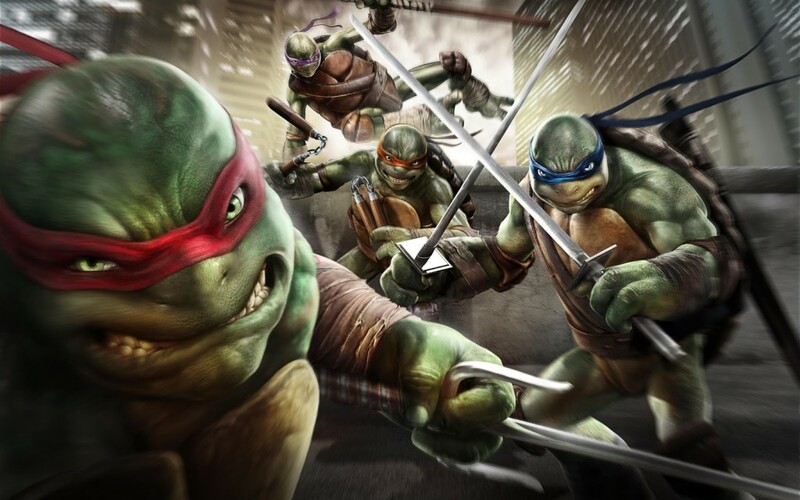 Here’s the pic I used as a guide. 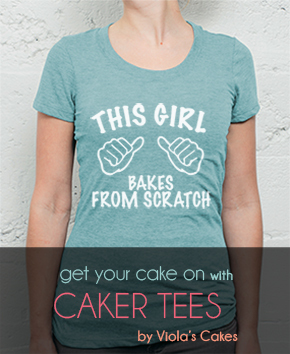 I’ll be using the usual cake tool suspects for these cupcakes: exacto knife, small rolling pin, clay sculpting tools and various colors of fondant. First things first. 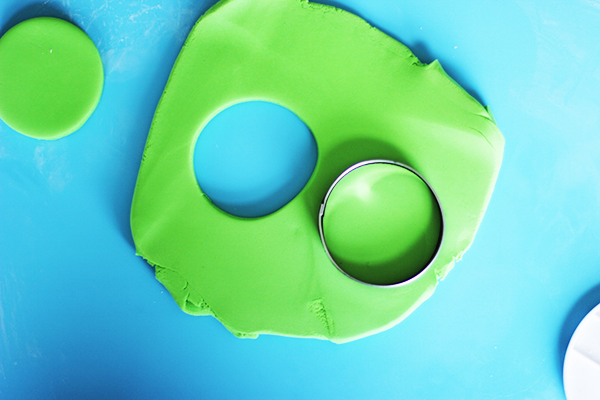 Let’s cut out some green circles for the base of our cupcakes. Ice and cover the cupcakes. 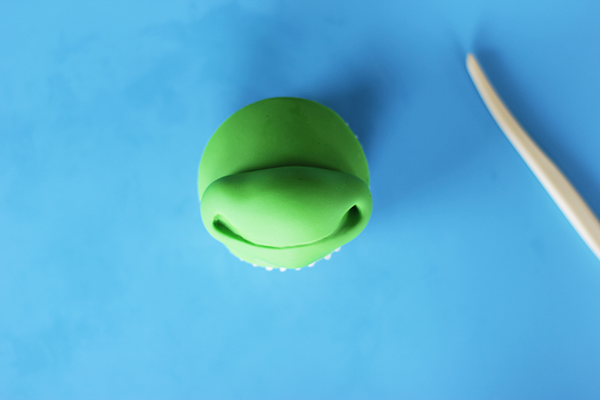 Attach it to the green cupcake base and make the indentations for the mouth using a clay tool. Next, create the teeth using some white fondant and a black edible ink pen. Use an exacto knife to cut out the exact shape. Be sure to refer back to the photo as needed. 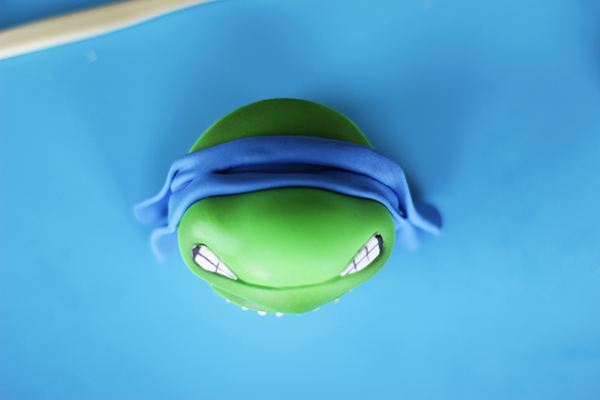 Make the bandana by rolling out some blue fondant and folding it a couple of times. 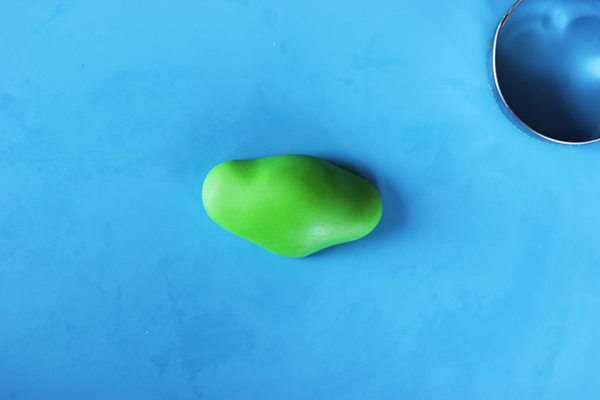 Attach it with some edible glue and cut off the excess and save it for the next step. 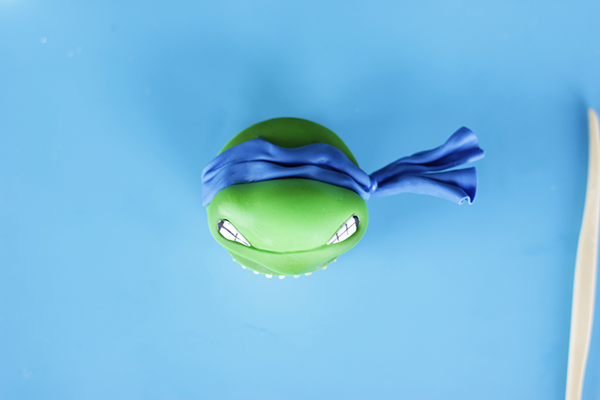 Get two toothpicks and the excess fondant from the bandana. 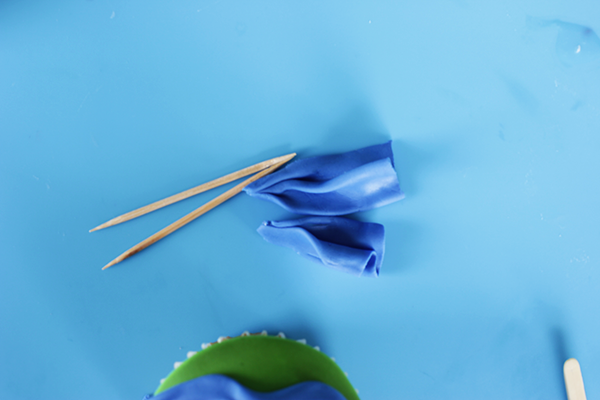 Carefully wrap the fondant around the toothpicks, about halfway across the length. 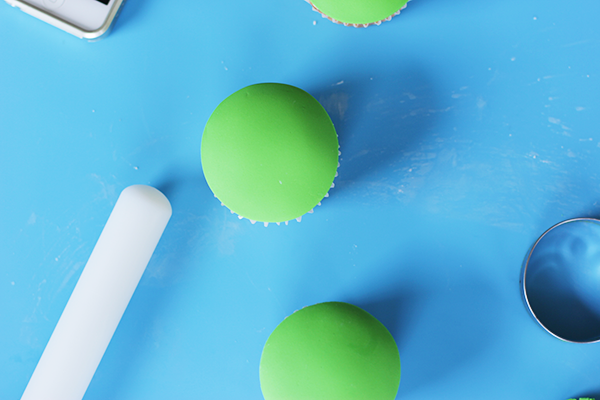 You might want to use edible glue to make sure the fondant stays put. Before I placed the eyes, I created some indentations in the bandana using a ball tool. Once again, I made the eyes using white fondant and black edible ink pen.